Hi CeeGee,i used to live on JAMES ANDREW Crescent quite near there, and i understand that he/his name had something to do with that area. I also understand he was famous for something to do with Canada? Thanks for the information. I know the road you mean - my grandparents spent their last years just round the corner on Greenhill Main Road. I will try and check this James Andrew out. 1845 Local preacher in the Norfolk Street Circuit. The great division in the Methodist body (followers of Wesley) which occurred in 1849, by the suspension of three of its most prominent ministers, created consternation and excitement throughout the whole country and affected Sheffield in a remarkable manner. was appointed in 1819 to Carver St. Chapel, and in 1832 Samuel Dunn was also appointed at Carver St. It was in 1849 that a veteran now living amongst us--Joseph Dyson--joined John Unwin's class at Carver St. The three ministers mentioned appealed from the decision of the Conference to their respective circuits, and sympathy was shewn by the thousands of followers which followed them from place to place. Had they been left to their individual resources the result would not have been so disastrous, but Conference allowed the Superintendents and Chairmen of the Circuits in the Connection unlimited powers in dealing with all sympathisers with the three expelled ministers and refusing their continued membership in the various Methodist Churches. This action aggravated the unfortunate position, and thousands of members were deprived of that Christian Fellowship which had been their lot for a number of years. It is most remarkable that the few divisions of the Methodist Church since John Wesley's days were all related to matters of government, and not in a single case to that of faith in the eternal Godhead and of His Son, Jesus Christ. As already stated, the deprivation of Church Membership applied to a very great degree to its local preachers, who were full of zeal and fervour, in spreading the Gospel to all who would listen. Four years previous to the split, I find on an old plan, 1845, the name of John Richardson, class leader, and John Richardson, Jun., also class leader; John Neal, a class leader at Carver St., and also William Westby. S. H. Burrows a local preacher, Joshua Wilkinson and Walter Wilkinson, names well known during the earlier days, not to omit James ANDREW a local preacher in the Norfolk St. Circuit. Shortly after the expulsion of the three ministers by Conference, I find Everitt, Dunn, and Griffiths at a crowded meeting held in the Music Hall, on August 22nd, 1849, at which a sympathetic resolution was passed. For a short time devotional meetings were held in the Lyceum (this was a room in the Mechanics' Library, Surrey St. , now in the course of demolition, known to-day as the Central Public Library). This place was too small and eventually the Reformers secured Mount Tabor Chapel as their centre. In June, 1850, Ald. Schofield, a prominent and leading public man, was charged before a meeting of Weslyan Leaders and Trustees with attending reform meetings and was expelled from the Methodist Church. In September, 1850, the Rev. James Bromley was expelled in Conference and addressed a packed and crowded meeting in Sheffield. The tension and excitement following these drastic steps throughout the country resulted in a loss of members totalling 55,852 in 1851; in Sheffield alone 4,734. Sir Henry Fowler, afterwards a Cabinet Minister in Her Majesty's Government, declared "that the Disruption of 1849 was a gigantic blunder on both sides." The loss to Methodism caused by this unfortunate split was computed to be, according to Dr. B. Gregory in his "Side Lights on the Conflicts in Methodism," over 100,000 adherents, mostly local preachers and supporters of the Weslyan body. These were young men whose love and adhesion to this powerful branch of God's Church were rendered useless in extending the Church of God. Possessing a spirit of chartism they were not dismayed but felt the need of activity in God's Church. It will be noticed how frequent and continuous there appear the names of Richardson, Andrews and Neal. John Richardson, Snr., was residing on the premises in Pinstone Street (pulled down in the 1880's for street improvements). John Richardson, Jnr., was resident in Fitzwilliam St., James ANDREW (an Accountant), residing at 43, Campo Lane, and John Neal at 14, St. Philip's Road. In the year 1859 we find George Wagstaff admitted a member of the Church. The work of this congregation was marked. The membership numbered 112. At this period another name was added to this noble band, that of James Howarth, tool maker, who had removed from Sharrow Vale to 75, Gloucester Street. The following interesting minute is evidence of this fact: "That Bro. 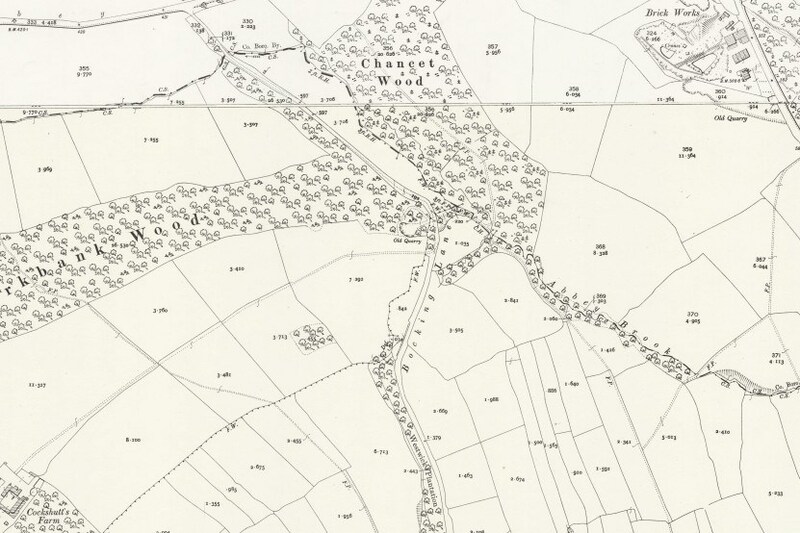 Howarth having removed from Sharrow Vale, and come to reside in the Town, he be recognised as a leader in connection with the Society, and that he raise a class at his own house or elsewhere." The membership was still further increased by the names of Mary Neal, Ann Crapper and Joseph Crapper. An interesting event of this period was handed to the writer of these notes by the late Charles Hobson (a labour leader) to the effect--"Watery Street Reform Chapel had been erected--he held the office of Secretary to the Preachers' Meeting for nine years. John Neal was President. He (Hobson) preached his trial sermon in the small vestry at Watery Street at 7 o'clock on the Sunday morning. Messrs. Westby, Wagstaff and Wilkinson were present. He went to breakfast with Wagstaff, who lived in Fitzwilliam Street." The Sunday School, with nearly 200 scholars, was prospering in a remarkable manner. The Superintendents were Messrs. Fould and Booth; the General Secretary, Mr. Edward Richardson; and the treasurer, John Richardson, Jnr. On alternate Sundays, the following persons interested themselves in the School as Teachers with six classes -- Mr Hawley, John Feltrup, Matthew ANDREW, Mr Walton, E. Gray and James ANDREW, Junr., with Miss Walton (friend of Miss Neal), Miss Machon, Mrs. Blenkhorn, Miss Butterfield, and Miss Neal. 1850 Informed by Superintendent his membership of East Circuit terminated. 1881 census 22 Yardley Street, Sheffield South Yorkshire : occ Annuitant [also present : Lucy J CHALONER, Neice, unmarried age 34 born Branston Lincolnshire]. ANDREW. - August 17, at 22, Yardley Street, Mr. James Andrew, aged 80. Interment at General Cemetery, 2.45, Wednesday. Friends will please accept this intimation. 1890 Funeral service conducted by James HOWARTH. Became 1st President of Weston Street United Methodist Free Church. 1869 Conducted choir at anniversary of Weston Street Sunday School. 1873 Honorary Secretary of Sheffield Sunday School Union. Attended September funeral of Rev. Canon SALE, vicar of Sheffield. 1889 President of Weston Street United Methodist Free Church. The annual meeting of this Sunday School was held last evening, when a large number took tea. The after meeting was presided over by Mr. James Andrew, Jun. (president of the Church), and the report of the school's operations during the year had been in some respects a rather peculiar one, still the outlook was promising and encouraging. The present number of scholars is 447, with a staff of officers and teachers numbering 49. Addresses were given by the Rev. R. Chew and Messrs. E. Tuck, J. J. Muxlow, and John Richardson (senior superintendent of the school). The chapel choir enlivened the meeting with several anthems. The following solos were very effectively rendered :- Miss E. Andrew sang "I know that my Redeemer liveth," and Miss Shirtliff, "He was despised." Mr. James Allen ably acccompanied. Thank you for the information PJC. James Andrew Crescent, off Greenhill Main Road, Greenhill is very close to the Greenhill Methodist Church. A link if there ever was one! I have lived on Westwick Crescent for 17 years. Originally the house was leasehold and a Mr Crawshaw used to come around yearly to pick up the ground rents. He was a lovely elderly chap and he said that his father had the houses built just before and just after the war. Ours was built in 1939 and only had one owner up until 2001. Mr Crawshaw lived in Cambridge, in a beautiful house of his own, or so I was told. He died a few years ago but asked if we wanted to buy the freehold a couple of years before and I felt that he was tying up loose ends. He did say that he had always been annoyed that his father hadn't named the roads after his children like the chap who had James Andrew Crescent etc. built. So I guess the houses and roads were built by different developers. 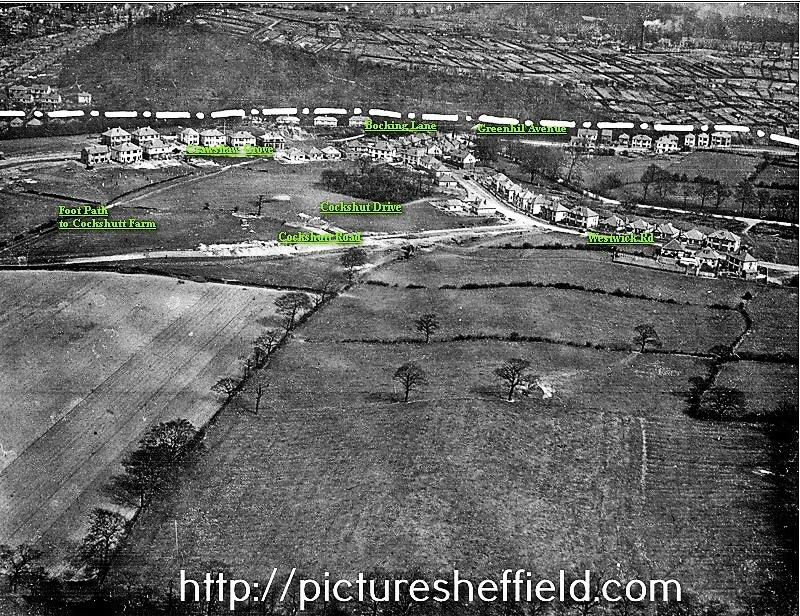 There is a Crawshaw Avenue and Crawshaw Grove on this estate. 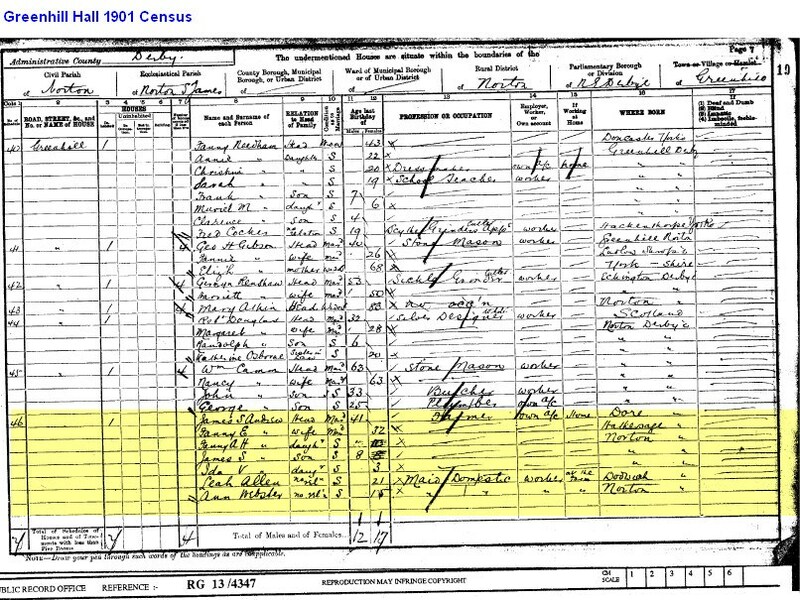 Thank you for the Census 1901! James Smith Andrew's wife was called Fanny Elisabeth.